Dr. Geeta Choudhary, the woman with the magic hands! Since 1993 she has been practicing Dentistry. She had studied in India and wanted to bring her dream to the United States where she continued her education and graduated from NYU College of Dentistry in 2001. She started practicing in Elizabeth, NJ under her mentor Dr. Shankar Iyer DDS, MDS, President AAID, and opened her own practice in 2004, Smile Line Dental of Ramsey. Since then she’s been making moves, acquiring new skills and techniques to add to her repertoire, and now she does it all. Geeta Choudhary is a dentist with a reputation you can trust! In 2010-2011 Dr. Choudhary had been mentioned as one of the top 5 leading female dentists in New Jersey by Business Weekly. Since 2011, Dr. Choudhary, a General Dentist, has been featured on the Invisalign provider locator in the top 2 of Premier Invisalign Providers in North Jersey above established, featured Orthodontists! Dr. Geeta Choudhary’s success is due to her qualities of being Strong, Driven and Caring. 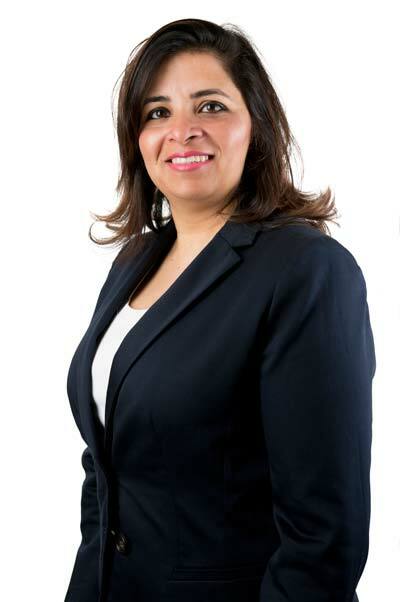 While most in the business world may find giving into their emotions as a weakness, for Dr. Choudhary, it’s a quality that she benefits due to her driven work ethic. “This is the Dentist people come to when they’re afraid of going to the Dentist,” quoted by our patient Elsie A. of Florida. She is gentle, patient, honest, and thorough in her work. Dr. Choudhary has dedicated patients from all across America who still fly into New Jersey for their treatment from as far as Texas to as north as Canada.